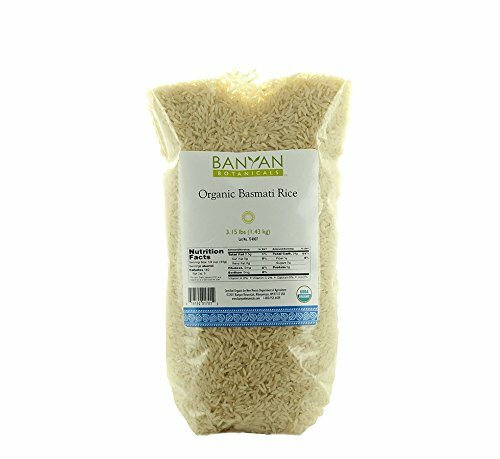 Basmati rice is one of the staples of Indian cooking and an Ayurvedic diet. Used in many recipes, this grain's slightly-cooling, sweet, light, moist qualities make it easily digestible by most people and perfect for soothing an irritated gut. Often called "the queen of fragrance" or "the perfumed one," basmati rice boasts a delicious, nutty flavor and aroma. A long-grained rice, it has been favored historically by emperors and praised by poets for hundreds of years. This tasty rice is not only easy to digest, but easy to prepare. Wash 1 cup rice until the water runs clear, place into a saucepan with 2 cups of water, bring to a boil, cover, and simmer until the water has been absorbed (approximately 15-20 minutes). Enjoy!